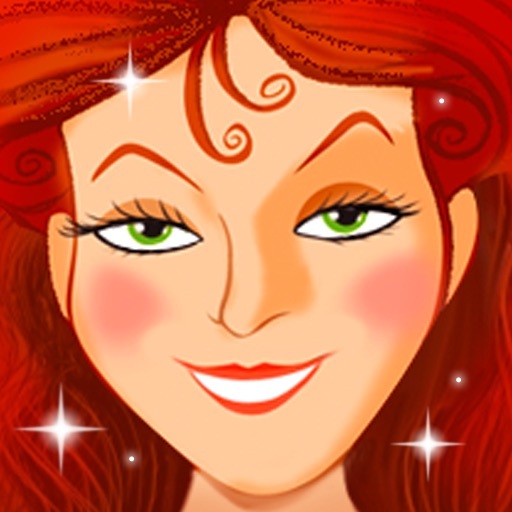 WITH THE SWIPE OF YOUR FINGER — turn a pumpkin into a magical coach, change 3 mice into elegant horses, transform a ragged dress into a magnificent gown, and help an old pair of shoes become glass slippers! 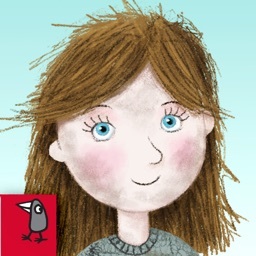 Touch objects on each page to discover hidden sounds. 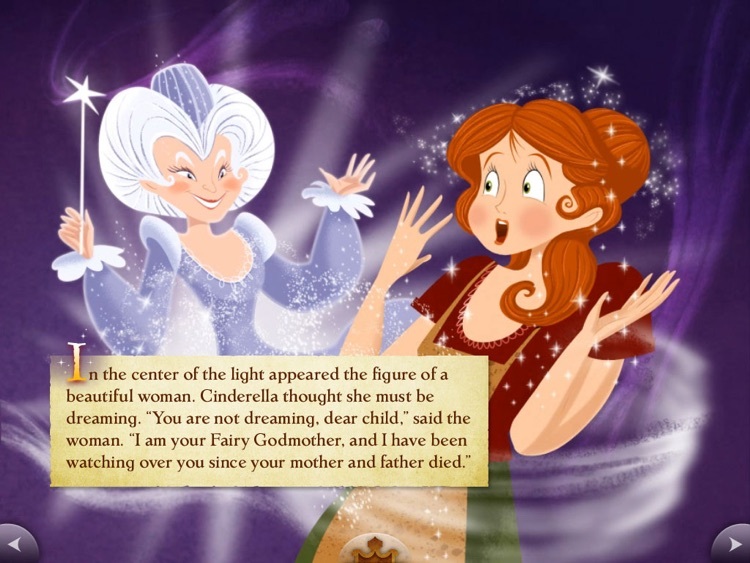 You will feel like Cinderella — being graced by a fairy godmother, transforming into the radiant beauty of the ball, and becoming a princess! 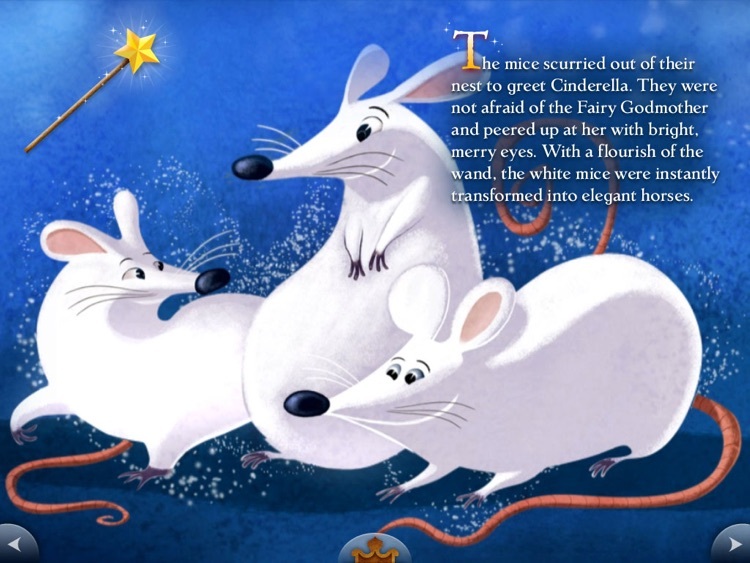 This interactive book includes 40 brand new storybook scenes, by award winning illustrator Gerald Guerlais. 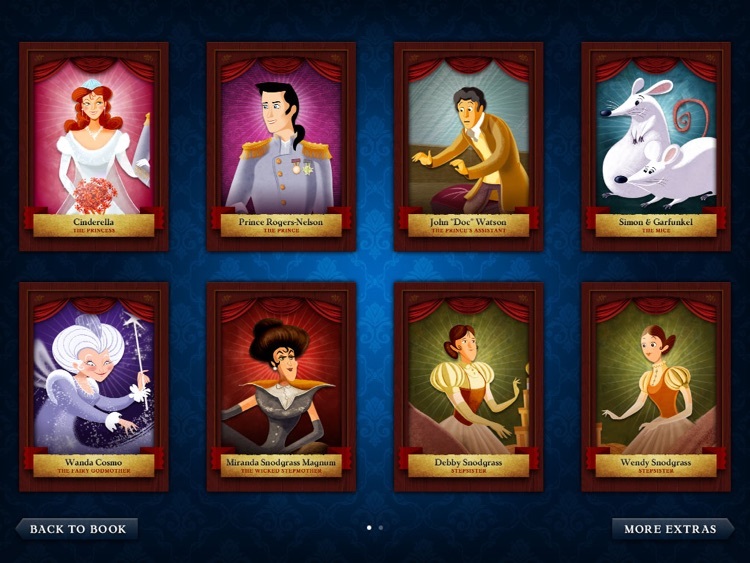 • Virtual Character Cards - learn more about the characters in Cinderella’s world, with fun facts and character background stories. • The option to read to self, or read to me. 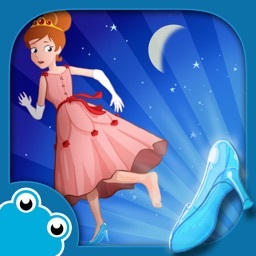 Enter the enchanting world of Cinderella, through this exciting interactive children’s storybook app for iPhone, iPad and iPod Touch. 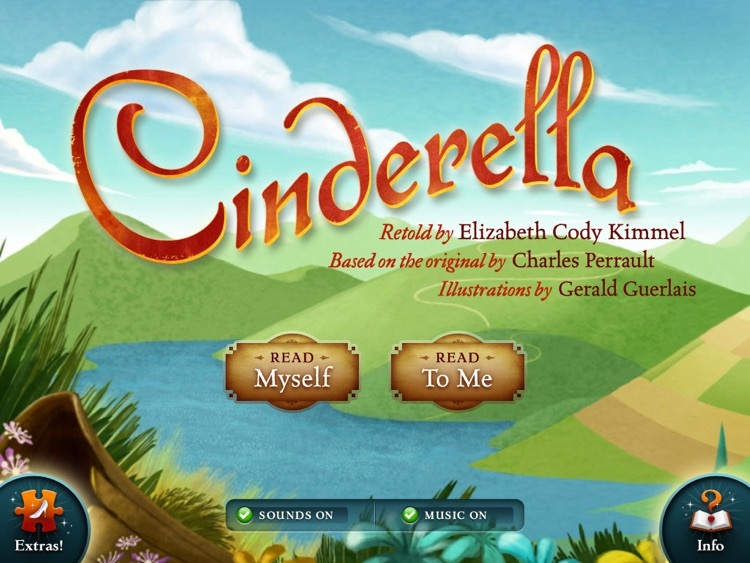 Journey along with Cinderella, as she transforms from a life of hardship to having her dreams of becoming a princess come true! 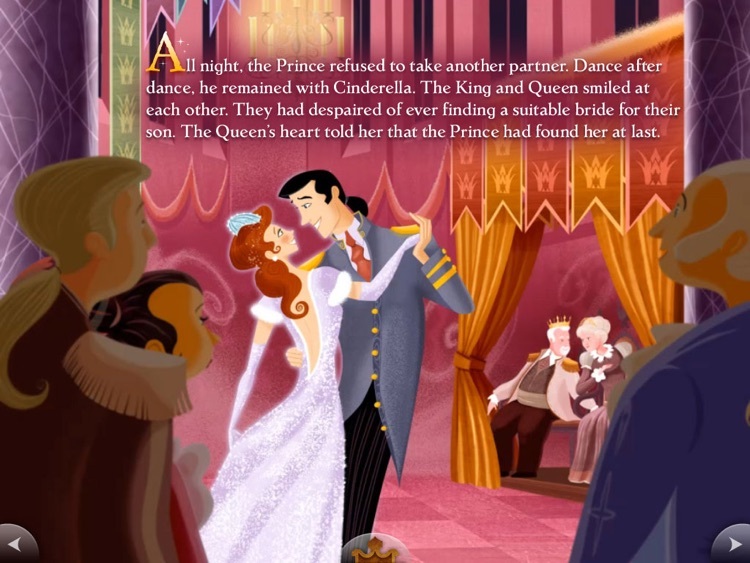 When her cruel stepmother and awful stepsisters prevent her from attending the Royal Ball — when all seems lost — Cinderella never loses hope. 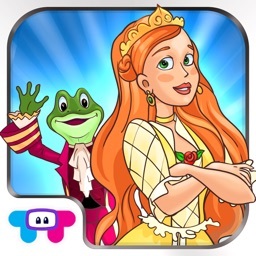 With the help of her fairy godmother, and a touch of magic — she becomes a beautiful princess, capturing the heart of the young prince, and falling in love! 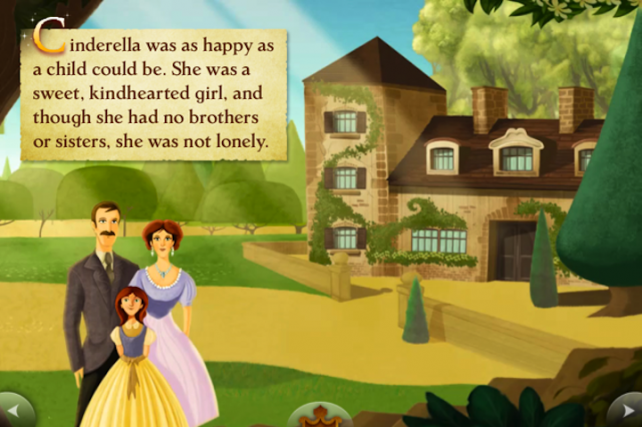 The classic children’s story of innocence lost and newfound love, Cinderella, is now available for the iPhone/iPod touch as an interactive book. For a limited time, it is available at a special introductory price.